The Beijing Guitar Duo is comprised of two young classical guitarists from China, Meng Su and Yameng Wang, who are graduate students at the Peabody Conservatory in Baltimore. Though both women were born in the coastal city of Qingdao, they first met at the Central Conservatory of Music in Beijing, where they began their studies with Chen Zhi, China's leading guitar teacher, at age 9 and 10, respectively. 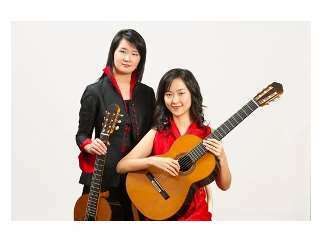 The Beijing Guitar Duo was formally established in 2008 at the suggestion of Manuel Barrueco, their teacher and mentor at Peabody. Cost: $36; one student K-12 free per paying adult.